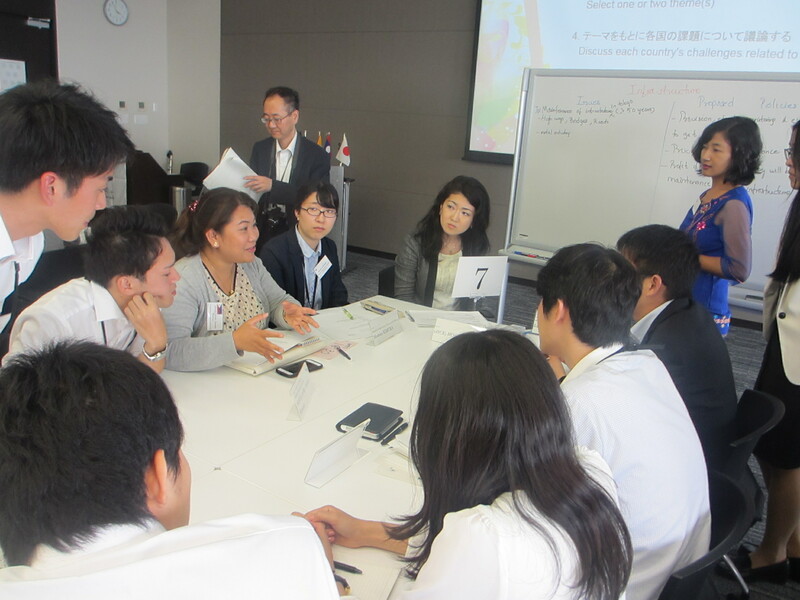 JICE hosted the “Exchange Session between the Young Japanese Government administrators and JDS Fellows representing Southeast Asian Countries” on June 20th and 21st, 2017. JICE collaborated with National Personnel Authority of Japan to provide an opportunity for young Japanese government administrators and the JDS Fellows from Cambodia, Myanmar, Laos, Philippines, and Vietnam to deepen mutual understanding and to forge new generation relationships. 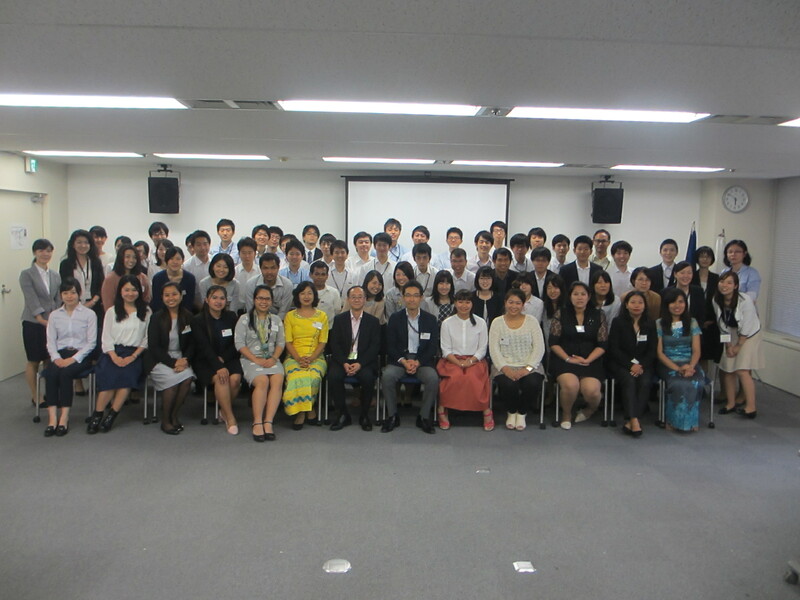 This year’s session, which was the second of its kind, had a good turnover of 101 Japanese participants and 18 JDS Fellows. 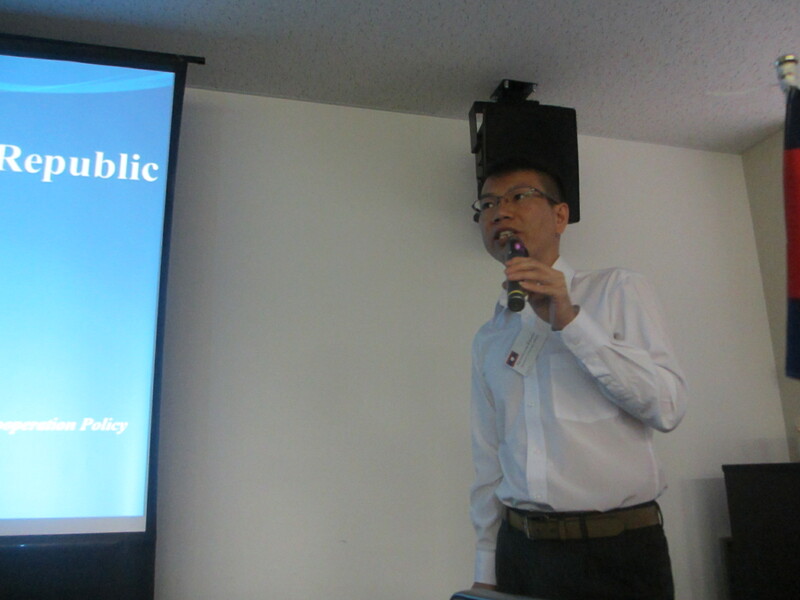 The session consisted of three parts, all of which were conducted in English. The first part was presentations delivered by JDS Fellows, followed by the policy formulation workshop and the report back meeting. In the first part, six JDS Fellows gave presentations about the roles and challenges faced by their respective Ministries. 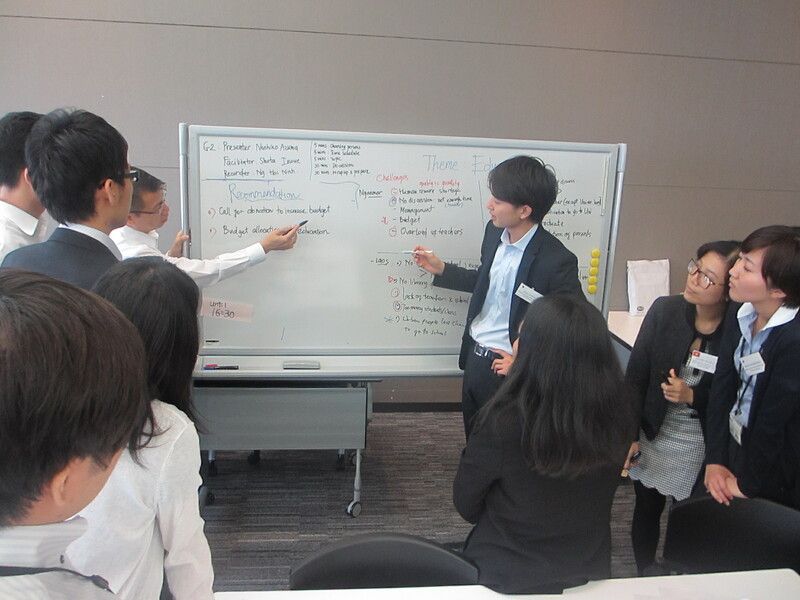 For the Japanese participants, it was an unprecedented experience to hear opinions on various policy issues presented by the practitioners from the Southeast Asian countries, all of which have close relationships with Japan. The second part was the workshop in which each group selected the theme and exchanged ideas on the policy challenges and proposed solutions that each country must tackle in close cooperation. 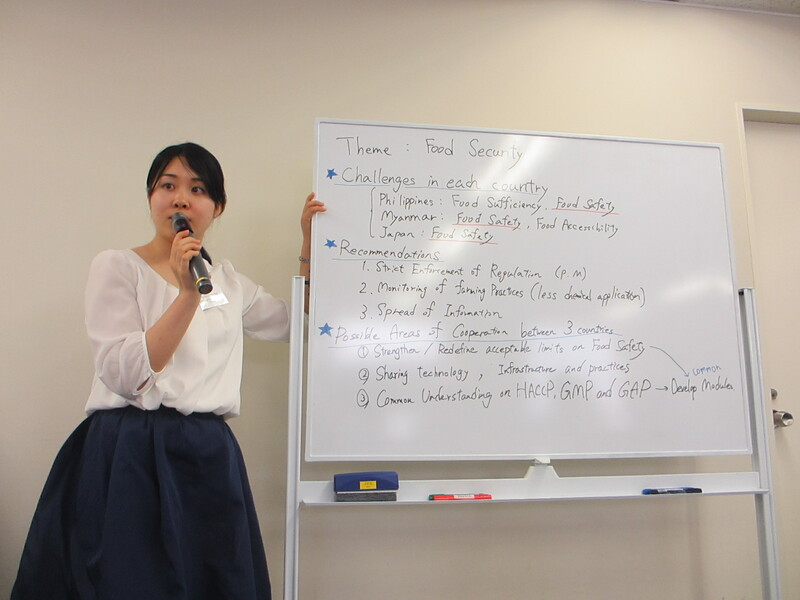 The JDS Fellows commented on the fresh ideas proposed by the Japanese counterparts from the realistic perspectives and provided advice from the practical standpoints. 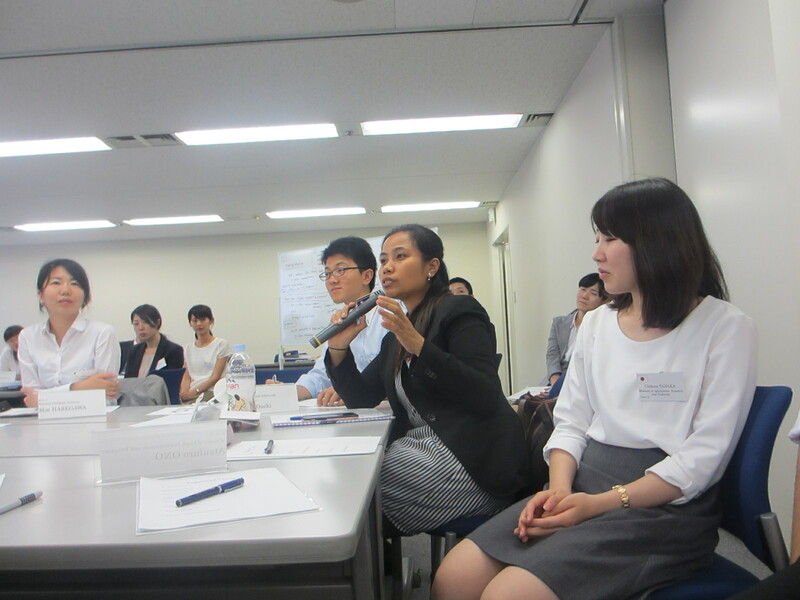 The JDS Fellows also offered useful advice to the Japanese participants regarding the tactics of effective presentation. 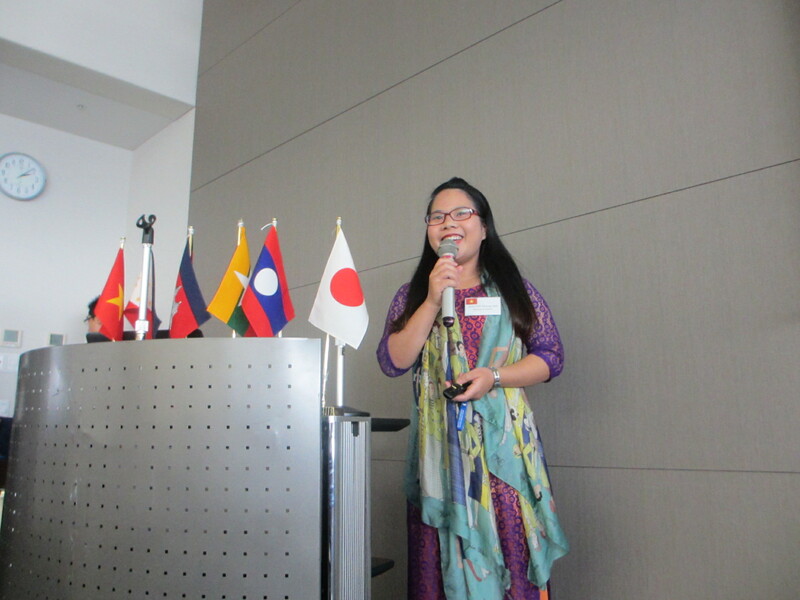 A JDS Fellow Ms. CORPUZ Jonah Lyn Degayo from Philippines’ Department of Agriculture making comments on the presentation from the Japanese side. The last part was the report back session. 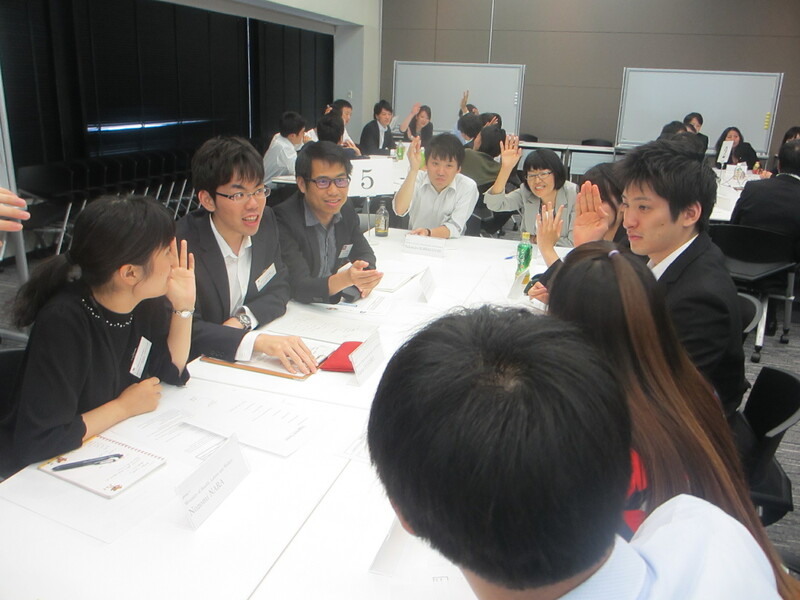 Each breakout group in the second part shared the major points of discussion and proposed policy ideas. There was heated debate about the practicability of each proposed idea between both sides. 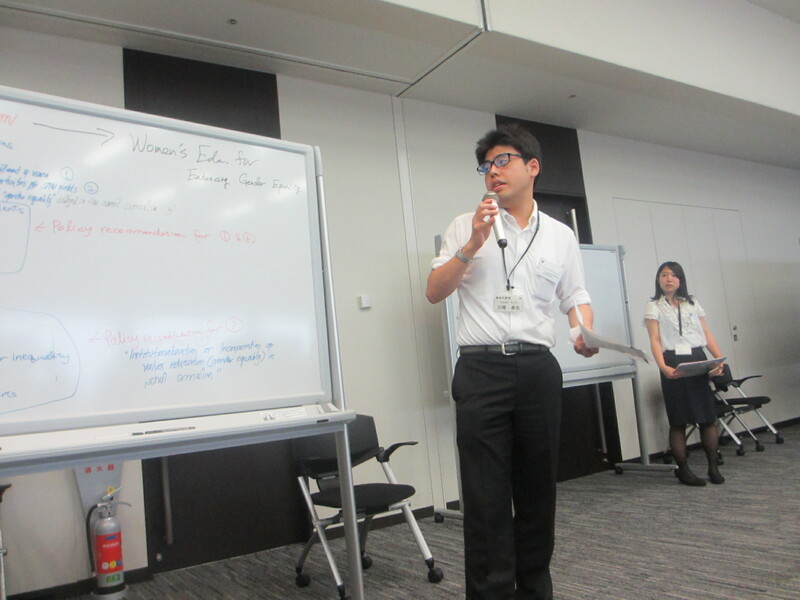 When we were planning this program, we had thought that it might be a challenge for the less experienced Japanese participants to exchange views on the equal footing with the JDS Fellows who have more on-the-job experience. However, the result was quite a favorable one for all of them. 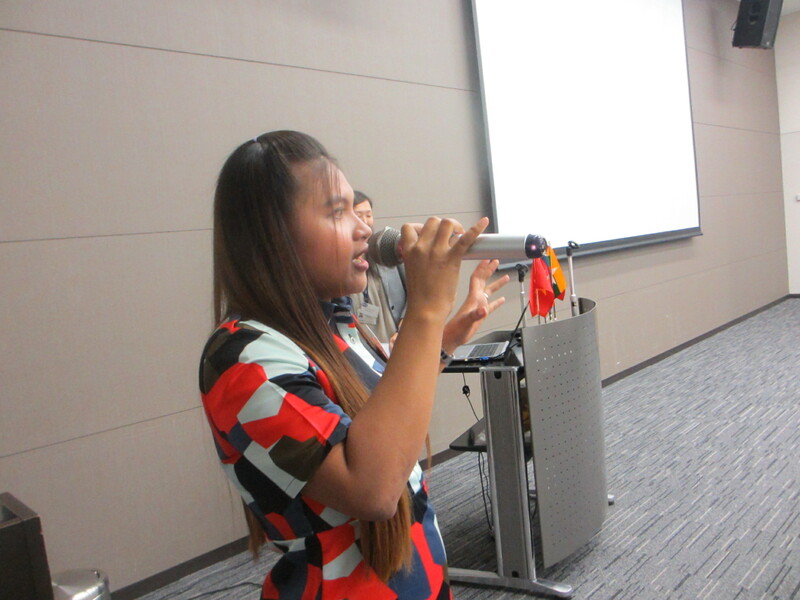 The Japanese participants were able to broaden and deepen their knowledge on Southeast Asian countries and realized the absolute necessity of improving English proficiency and communication skills. Other participants were equally stimulated by sharing their views and experiences on many common challenges in the region. We believe that such motivation as well as the knowledge and network gained through participating this exchange session will contribute to the participants’ success in their future responsibilities as internationally -minded public servants. JICE has been dedicated to prepare a new generation of government leaders in development in thirteen countries covered by JDS since 1999. We are also committed to bringing people in the public and private sectors in Japan closer to the world through organizing various exchange opportunities such as this.